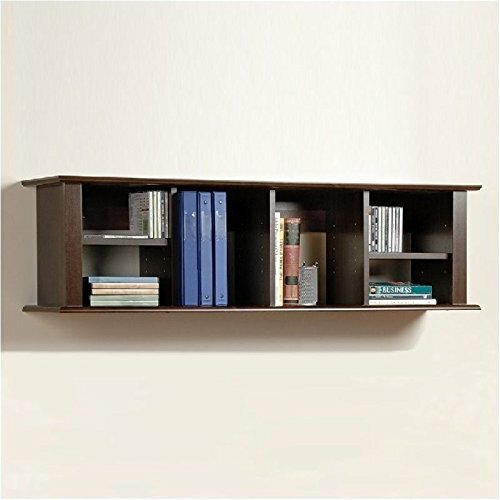 The Wall Hanging Hutch can be mounted above Contemporary Desk or on its own as a floating bookcase for collectibles and accessories. It offers plenty of storage for books, papers, and computer disks. It has four adjustable shelves and fits binders perfectly. Installation is easy using our two-piece hanging rail system.